Resume objective samples that quickly convince the employer to read your resume and select your application for the job opportunity. The single sentence what-I-want kind of resume objective doesn't work. 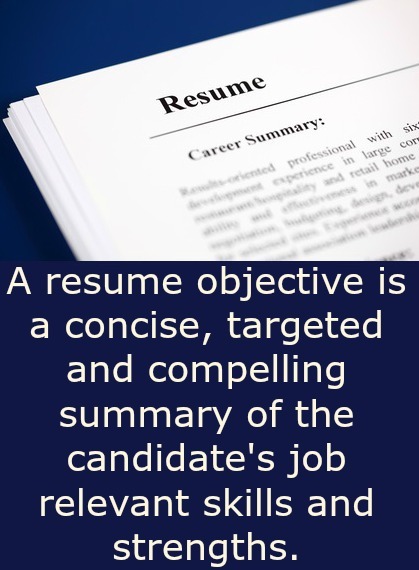 A concise resume objective statement that highlights your skills and expertise as they relate to the job opening does. A typical objective statement consists of about 3 - 5 sentences in a paragraph format. Certain jobs may require more detailed information and in this situation it is better to use bullet points as longer paragraphs are difficult to scan quickly. Writing a resume objective that makes your application stand out from the crowd for the sales position is key to getting your resume read and your application seriously considered for the position. Clearly demonstrate your superior customer service skills and passion for providing excellent service in a persuasive snapshot of your abilities and strengths. Personalize these Customer Service Resume Objectives for your own resume. What will get your cashier resume or bank teller resume quickly noticed? Articulate what makes you the ideal job candidate with these resume objective samples. Administrative jobs include a large variety and complexity of job descriptions involving a wide range of duties. Your resume objective needs to clearly identify your relevant areas of expertise as they relate directly to the specific job opportunity. These resume objective statements condense the key points about your career and capabilities and can be easily adapted for your own use. Your teacher objective statement should be as informative as possible and relate directly to the specific teacher position you are applying for. Here you can find examples of different types of teaching resume objectives. Looking for a career change? This career change resume objective sets you up for a successful career transition. Applying for an entry level position? 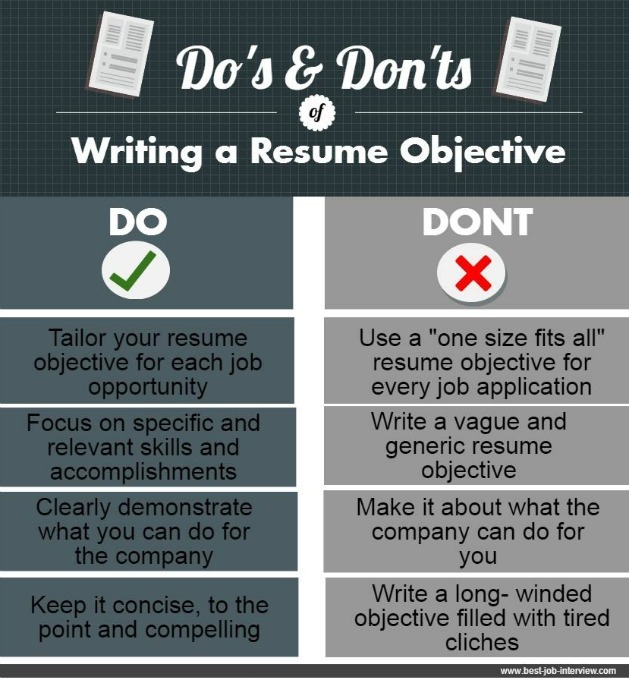 Winning entry level resume objectives make sure your application gets serious consideration. Trying to land an internship? Get help with these internship resume objective samples.